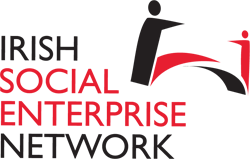 This initiative to provide mentoring support to Directors and Managers of Social Enterprises has been devised and developed in support of the Department of Justice and Equality social enterprise strategy, ‘A New Way Forward’. The Innovation Academy in University College Dublin have assisted in drawing up and developing the programme. The experienced and qualified mentors have been selected from the members of Rotary International in Ireland. How can mentors help You? You will be offered a choice of mentor and a mentoring arrangement will only proceed when you have met and assessed the mentor and determined their fit with your business. Their contribution will be voluntary and there will be no charge for their inputEach mentor and each mentoring project will be supported by the Social Enterprise Project Manager within the Department of Justice and by a Rotary Mentoring Coordinator. Each mentor will have been selected and trained before coming on to the panel. Please see separate application form. Complete this form and return it to Siobhán Cafferty, social enterprise project manager, at siobhan@bridge.ie before Friday, October 5th. Places will be allocated on a first come, first served basis so early registration is advisable.